Find My Workspace lists over 95% of the serviced offices & coworking space market in Wan Chai. Simply click Request Quote to check pricing for one office, or Add to Basket for multiple offices. The centre is a collaborative working, reading and studying space. The centre supports events, seminars and welcomes collaborations. Nothing in the area can beat this stylishly-designed and light-filled space located at Star Street Precinct Wanchai with the vibrant neighborhood. Perfect for different private and corporate events, especially with cultural and design themes. In this centre you can enjoy high-speed WiFi, complimentary drinks and snacks, communal kitchens with specialty coffee, printing and scanning services, plus the availability of lockers and free magazines and books for when you want to relax between meetings. Offers spacious, good value, solid quality serviced offices (internal or window) with flexible configuration from 1 to 15+ persons, team room (24 hour air conditioning), room in a room (for manager or director), economical flexible workspace (shared serviced office), and 24 hour access all year. Window meeting room and spacious boardroom are at reasonable prices. Optimal sound proofing installed between offices with tall ceiling (2.75M). 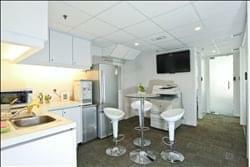 Fully equipped window pantry of top quality, hot desks, mail box and storage facilities. All Aeron Herman Miller chairs, advanced phone system, and solid quality office equipments. An in house car park with direct elevator access is available to Clients on a monthly basis. Manned building security at main lobby. This center provides fully furnished and serviced office space with high-speed Internet, 24/7 access, meeting room and virtual office facilities that have served over 19,500 businesses since 2003. Multilingual executive assistants are available and in addition, as a serviced office client, they also offer you a ‘Platinum Virtual Office Plan’ for further and better support of your business. Covering a large area, this office space is extremely modern and perfect for any business, a stand-out feature is the glass curtain walls. 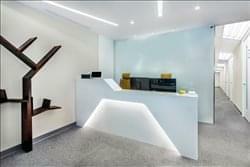 Tenants may choose offices for one to ten people with stylish decorations and professional receptionists. Offices are well-equipped, and ready to use whenever you want to move in. A reception area provides a welcome to you or any of your clients while a security system keeps everything safe so you can rest easy. 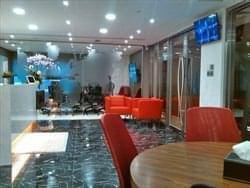 These serviced offices are suitable for entrepreneurs, small companies or foreign and mainland corporate. The centre allows you to quickly set-up and run your office with a low investment and operating cost. Together with the experience of office space management, you will be concentrating your valuable time on business development instead of administrative issues. Professional office spaces that benefit from a high standard of services including mail handling and forwarding, call answering and administrative support, combined with a world-class business address, high quality office space and professional, well-equipped meeting rooms for on-demand usage; these serviced offices present an exciting opportunity for businesses to make their mark. 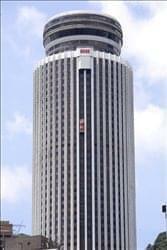 This centre is a landmark building in the central business district of Hong Kong. 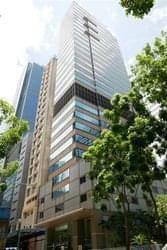 The office space is located on the 35th floor, the offices are in one of the tallest and most prestigious buildings on the Hong Kong Island skyline, with wonderful views over the harbour. The building is home to many multinational corporations such as those dedicated to oil, car manufacture, management consultancy, IT, electronics, media and real estate. The building is unusual in that it has a triangular shaped floor plan, which the architects believe provides better use of space and column free office areas. There is a spectacular lobby filled with natural light and the first floor is a public through fare to three pedestrian bridges linking the Mass Transit Railway, the Convention and Exhibition Centre and the China Resource Building. The centre is located in a Grade A 50-storey office space with great views over the harbour. The business centre is on the 12th floor of the building and offers amenities including a 3-storey car park, shopping mall from ground floor to 2nd floor and restaurants from 3rd to 5th floor. 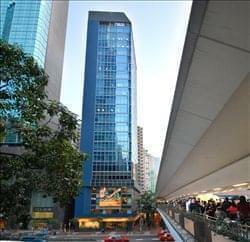 The building was renovated in 2011 and is the first building in Hong Kong to use Leadership in Energy and Environmental Design (LEED) as the sustainable framework for the buildings upgrade. With easy access to Immigration Tower, Consular Department, Ministry of Foreign Affairs of PRC and Hong Kong Exhibition Centre, the building is home to many multinational corporations such as those dedicated to banking, finance, management consultancy, media and more. This centre provides a fully-furnished and equipped office unit for instant move-in. Office units are individual basis. The monthly rent covers management fee, government rate, electricity allowance and internet. The leasing term is flexible from 6-24 months. It is ideal for SMEs and start-ups. The centre provide 24-hour operation and smart security system for each office access. In addition, there is event space for meetings, seminar, workshop and business functions. The centre is ready-to-use and all inclusive package (management fee, government rates, electricity allowance, and broadband service). Smack-bang in the middle of the buzzing and ever-changing Wai Chai area, this space provides a limitless supply of inspiration and creative moments every single day. The lively designer offices offer everything a growing business could ever need, from super-fast WiFi and barista coffee, to spacious designer work spaces which work to created the ideal space for sparking brand-new business plans and collaborations. This center offers a variety of workspace options for you and your business, from private offices, a dedicated desk in the coworking area to hot-desking memberships – this space have something for everybody. With modern, light decor the space is open and full of character allowing for a relaxed but fun working environment. Members has access to amenities such as meeting rooms, conferencing facilities and much more, including access to the events that the center hold on a regular basis. A modern building providing private, secure and fully furnished offices. Professional receptionist services, with personalized trilingual telephone answering, message taking and prompt call forwarding. Panasonic Digital phones with voice mailbox, caller-display and conference features 8M/8M high-speed wired/ wireless Internet access via PCCW. Dedicated telephone and fax number per workstation. Rent includes electricity, water, air-conditioning, management fee and government rates. Mail collection services. Meeting room for up to six people at concessionary rate. Business lounge with unlimited complementary tea and Pacific Coffee. Newspapers and business magazines. 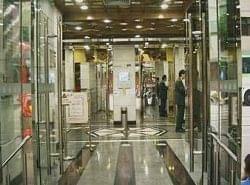 This centre offers immediate on-demand office space to rent. Maximum flexibility, productivity, efficiency and comfort are achieved by incorporating current and emerging technologies for full service office solutions. This includes secretarial/word processing, desktop publishing, database management, presentations, spreadsheets, high-speed photocopiers and more. This vibrant and bustling workspace offers a great community setting, ideal for start-ups as well as multi-national companies. The space is designed with collaboration in mind, with long workbenches and lounge areas as well as games areas which include a ping-pong table, great for networking with others who work in the space. There are also weekly events held in the workspace perfect for suggesting collaboration ideas with other professionals. There is printing, high speed internet, micro-roasted coffee and private phone booths available to those who work with this space. This centre is comprised of an innovative co-working community and service office. The staff at the space endeavour to serve individuals who are eager to establish their company, but they lack resources. The on-site team incorporate several professional skills, such as admin support, mail handling, phone call handling, setting up companies, business alliance associating etc. Also, with our faithful service, we assist our customers in fixing their business challenges. Most of the traditional business centres only offer services such as; a company address, fax or mail service but they may not provide any support on daily business difficulties. To cover this region, this fantastic co-working community creates various professional parties collectively and aims to provide an outstanding business platform to members. 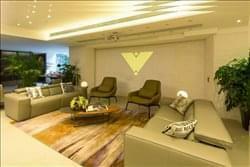 Brand new coworking space in Wan Chai with panoramic sea views of Victoria Harbour. This cool industrial-style workspace features exposed ceilings, raw materials, green plants and great views to make it one of the most dynamic and modern coworking environments in all of Hong Kong. Specifically designed for people who value ambition and collaboration, the management and orientation of this workspace will help you make meaningful acquaintances to support your business. There’s a space to suit every occasion, whether you’re hosting clients in a meeting room, relaxing in a comfy breakout area or holding an industry function in the stunning events facilities. Equipped with internet and furniture, you can forget the cost and stress of leasing an office as this flexible option means your space can grow and change at the same pace as your business. An ultimate social and co-working platform for financial elites, has finally launched in Hong Kong! This exquisite business incubator is powered by the world class professional firms and successful business leaders. Offering not only an ultra luxurious office space for starts up and seasoned financial elites, but more importantly a priceless network, business mentoring process, and capital introduction opportunities. Believing that all of the tenants deserve the highest level of service, this centre is committed to providing just that. From now on, you just need your very own talents, ultimate grits and determination to succeed, everything else is provided for. 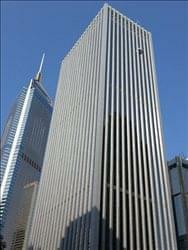 This business centre provides professional and prime office services to all of their clients. Office rooms contain quality POSH office furniture, while there is also an elegant lobby and stylish conference room with 24/7 accessibility. The telecommunication is provided by Avaya IP phones with independent LAN and Wi-Fi. Entrepreneurs can enjoy relaxing in the gorgeous business lounge or the café area. The professional administrative staff support your business to achieve every success. This centre is one of the most recognized buildings in Hong Kong, at one point being the tallest in the city. Located in Southern Wanchai, the development is the centre piece of Hopewell Holding’s ‘East’ branded commercial hub, which includes a strong F&B, office and serviced apartment mix. Situated in the heart of Causeway Bay, adjacent to Times Square MTR, this brand new building is located on Tang Lung Street surrounded by a vibrant commercial, restaurant and retail precinct. With 8 floors of well-designed workspace and relaxation zones, this shared space in Causeway Bay offers clients the opportunity to join the shared communal areas or have exclusive use of whole floors, whilst still enjoying premium member services. To obtain information for your selected Wan Chai Serviced Offices & Coworking Space, please tick the "Add to basket" box for each office you prefer and complete the form below. We will then send a detailed report via email.